Russian airline VIM-Avia has recently taken delivery of two Boeing 777-200ER wide-body aircraft, the fifth and sixth of the type in its fleet. One of the aircraft, with tail number VP-BD, seats 282 passengers, 35 in business and 247 in economy class. It was built in 1997 and previously operated by Malaysia Airlines. The second aircraft with tail number VP-BVX has the seating capacity for 323 passengers, 30 in business and 293 in economy class. Built in 1998 it previously flew for Singapore Airlines and Russia’s Transaero. 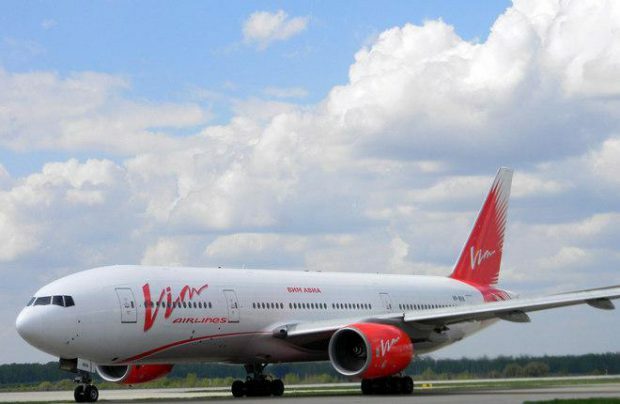 VIM-Avia started shaping up its widebody fleet this year with several 777-200ERs. It now also operates two Boeing 767-300ERs and expects delivery of several more aircraft of the type next year. In the future it also plans to start operating Airbus A330s. VIM-Avia’s narrowbody fleet consists of two Boeing 737-500s, four A319s and six Boeing 757-200s. At the end of the first ten months of 2016 VIM-Avia occupies ninth position in the rating of the Russian largest airlines by passenger traffic. During this period it served 1.832 million passengers, which is 29.9% more than for the same period last year.